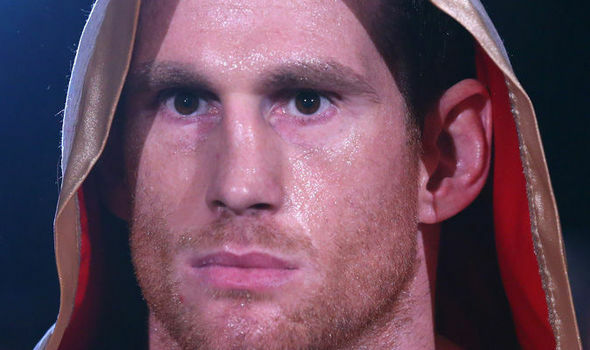 David Price will take on Sergey Kuzmin for the WBA Inter-Continental Heavyweight title on the undercard of Anthony Joshua vs. Alexander Povetkin at Wembley Stadium Connected by EE on September 22, live on Sky Sports Box Office and DAZN in the US. Price rocked former World Champion Povetkin before succumbing to a stoppage defeat last time out at the Principality Stadium in Cardiff in March and knows it is last-chance saloon against the Russian’s countryman Kuzmin. The Liverpool man is determined to prove that he can still mix it with the best in the Heavyweight division on the biggest stage of all and a win against 12-0 Kuzmin would rocket his name back into the mix. “It’s all been late notice but I was training to fight in Belfast anyway,” said Price. “It means I’ll have to squeeze in my sparring as the fight is only nine days away but I’ll come out all guns blazing on the night. “It’s just great. I got a huge buzz last time being part of such a big occasion. There’s nothing like the feeling of a big fight night and I’m excited to be part of another one. Price vs. Kuzmin lands on the undercard of Anthony Joshua’s Heavyweight unification blockbuster with Alexander Povetkin, Luke Campbell gets a chance for revenge when he rematches Yvan Mendy in a Final Eliminator for the WBC Lightweight World title and Matty Askin defends his British Cruiserweight title against Lawrence Okolie. Limited General Sale tickets are available via www.stubhub.co.uk the official ticketing partner or https://events.wembleystadium.com. For accessible tickets please call Wembley Stadium on 0800 093 0824.